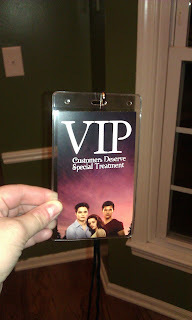 I was super lucky to be invited to attend the advance screening of Breaking Dawn, Part 1 of the Twilight Saga Finale. I was so excited - I mean, who wouldn't be? My good luck all began when I first arrived. I got an incredible parking spot right up front. Woot! Then, I walked around the theater to where I was told to go for the advance screening . 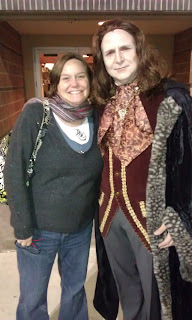 . . and ran into Marcus from the Volturi (and the couple of theater security people following him around). He had his red contacts in and everything. Awesome! Finally, I met up with my group - Breckann and Sarah. Breckann was the slick chick with the 'in' for the advance screening. I received this cool VIP badge . . . then was led to a reserved theater. No fighting for seats, no stupid teenagers yelling out annoying stuff during the movie. Is this how movie reviewers live? Dang. Maybe I should stop doing book and get into the movie reviewer gig. The lights went down. The previews began . . . and yes, Breaking Dawn followed. Most of the movie hit the "Liked It" mark on my movie-meter. Other than the Prego Bella stuff and the romantic wedding, there really wasn't anything about the movie that made me say AWESOME! and want to immediately go back to watch it when the next seat was available. Will I go see it in the theaters again? Nah. I'll wait to either Redbox it or buy it to add to my movie collection. I may as well finish up the Twilight collection since I have the rest of them. The birth scene and immediately after was actually quite gruesome. Like, nasty cover your eyes gruesome IMO. There were a few shots I would have preferred not to have stuck in my head. I sincerely hope they change the ending for part 2. I'll be honest here and say that Breaking Dawn was my least favorite of the Twilight Saga books. I'm not saying I hated it, just that it wasn't my fave. It started off great, then half way through, it felt like the author got burned out from the series. 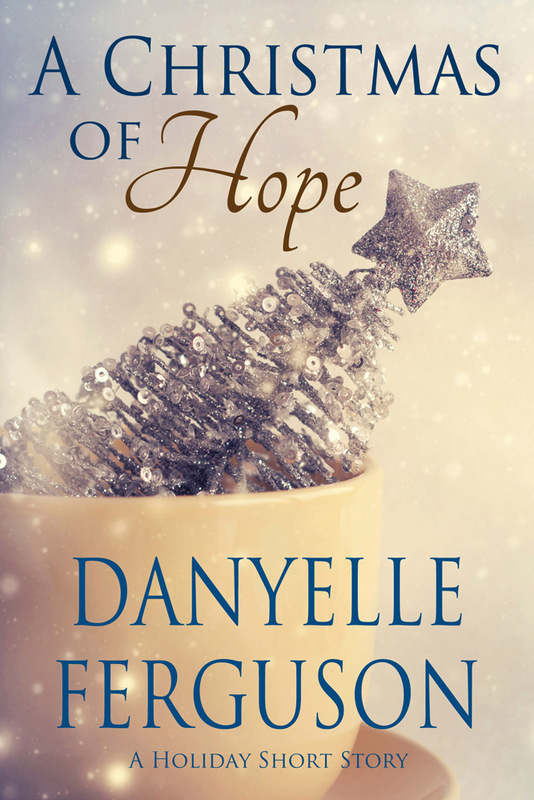 Everything she built up for incredible conflict, she let fall flat, then conveniently wrapped it all up. I hope the screen writers fix that issue and actually have a good conflict and fight before the conclusion of the series. 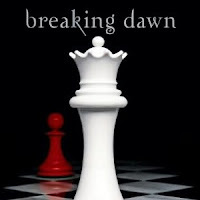 Now, all of you Twilight fans, tell me what you thought of the first part of the series finale. And be honest! You don't have to agree with me . . . but tell me what you really did & didn't like. I also got to watch it early. Actually, I loved it. I loathed that first movie. This is the best by far, and the first one I want to watch again in the theater. Can I say I <3 Charlie? I like him in the movie better than the book Charlie. The film was slow in parts because they needed to fill in the time since they made two films. I did wonder if there was enough material for two. I guess this answers the question. Might I have preferred a truncated but longer single film? I guess I'll have to see how well they do Part 2. I could have done with a little less wedding night stuff. Seeing the feathers and broken bed the next morning worked fine for me in the book. I really wasn't interested in watching him do that. But I did laugh over the feathers. I totally agree with how awful they made preggers Bella look. She really did look dreadful. My hubby commented that this film was much bloodier. Well, so was the book. I thought as gross as Edward biting open the womb they handled it pretty discretely. I'm not sure if someone who hadn't read the book might know for sure what he did. Pattinson really bugs me as Edward. In the books, I was totally Team Edward. With the films, I've been Team Jacob. Pattinson didn't ruin the film. Sad endorsement, but I was okay with him. As always, I love Alice, and we got to see plenty of the other Cullens. Jasper kept from being cringe worthy. That's progress. I loved the final scene. That was the perfect place to split the story. Haven't seen it yet, but my daughters and I were going to go. Now I a little leary of the scenes you and Donna described. Mmmmm? I must be weird, but book four was my favorite! I guess there's a need in me somewhere to be a gorgeous, injury-immune vampire. Have to confess, here, that I've only seen the first two movies. As my daughter's behest. I enjoyed them, but, as per usual, enjoyed the books more. I was solidly Team Edward throughout the books (I have great difficulty with men who deliberately try to snitch other men's women . . . Jacob! ), but found my loyalties tested in the movies. I will see the fourth, but probably on DVD, with the fifth ready to go into the player directly afterwards . . . I hate being kept waiting! I enjoyed the movie - and enjoyed poking fun at it. I always have to go see the Twilight movies twice. 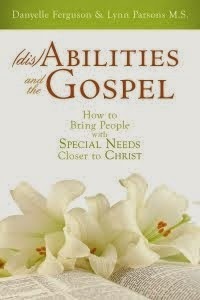 The first time I'm too busy reconciling the book/my version to what they have done on screen and all the discrepancies. Also, Kirsten Stewart's version of Bella is so far off from my mental version, it's almost painful to watch her in the previous movies. I also tend to criticize the make up. In this one Emmett's head and neck are clearly two different colors and it bugs. I go a second time to watch the movie and appreciate it for what it is. That being said, I liked the movie. People were making a big deal about the love scenes and all but I was honestly surprised more at all the gore. I don't think that it was appropriate for younger teens due to the honeymoon/newlywed scenes but I don't think it deserved a R rating either. Each of the movies has gotten better, but at times it's still a bit campy. One part in particular had my friends and I thinking, "Are we watching He-man Master of the Universe or Thundercats?" Anyway, saw it last night on girl's night out and am going again tonight with hubby since he can't wait to see it! We'll see what I think tomorrow! Hey, Danyelle. I started reading your post the other day and then *stopped*cuz I didn't want any spoilers, so I came back today and finished it. LOL I loved the wedding, the island beauty, Jacob's passion, and the pics of the older Renesme. My girl's night out friends hated the movie, but I didn't. I loved Bella's vampire beauty at the end-especially her last moment red eyes-but hated that it ended because I was ready to see more! Negatives? All this love for the movie when I hated the last book!! Go figure! Glad you had fun at the advance screening!!! !